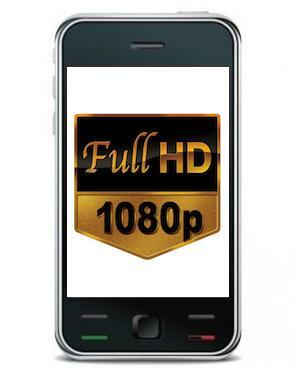 Many of the current top-of-the-range smartphones — iPhone 5 apart — have screens with a 1280 x 768 pixel resolution or similar, which is good enough to be labelled as HD. However, just as it did with flat screen TVs, 720p is about to be replaced by 1080p — as Sharp has announced that it has started production of its own 5-inch, full-HD smartphone displays. The new panel boasts a resolution of 1920 x 1080 and a pixel density of 443ppi. As a comparison, the Samsung Galaxy S3’s 4.8-inch display has a resolution of 1280 x 720 and a pixel density of 306ppi, while the 4-inch iPhone 5 has 1136 x 640 pixels and 326ppi. Sharp may say its 5-inch screen is headed for smartphones, but any device with a display that large usually gets put in the smartphone/tablet hybrid category, joining the likes of the Galaxy Note, Note 2 and the LG Optimus Vu. The benefits of such a high resolution screen almost go without saying, but Sharp states that it’ll bring “crisp text, super clear maps and amazingly real HD images.” Sharp doesn’t mention on which devices its new super-screen will appear, but along with making its own smartphones, Sharp also supplies screens to other manufacturers too. It’s also not the only one to have announced plans for a 1080p mobile screen, as LG is also busy with its own full-HD panel, and Oppo has teased us with the Find 5, a 5-inch device with a 1080p display. HTC is also rumored to be preparing the One X5, a tablet/smartphone hybrid with a 5-inch, 1080p screen too. The mobile industry loves big numbers, as they help convince prospective buyers that one device is “better” than another, and a 1080p screen with 443ppi is about as impressive as screens can get. Questions will no doubt be raised concerning just how much difference a 1080p resolution and a 443ppi density will make on a screen this small, but answers will have to wait until the first device with such a screen goes on sale — and judging by the increase in activity from these companies, we shouldn’t have that long to wait. Sharp’s press release notes that the screen will be displayed at the CEATEC show — a CES-style technology exhibition — in Japan, which starts on October 2 and will run to October 6.